Cassandra joined the firm as an associate in 2016 after being called to the British Columbia bar in 2015. 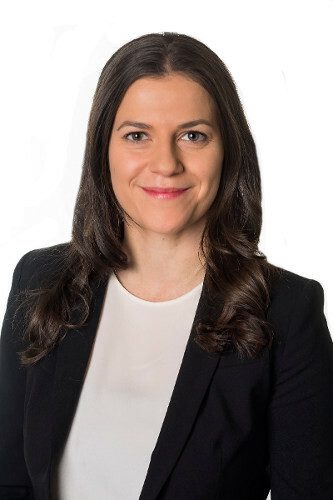 Prior to joining the firm she articled and practiced at an international law firm in Vancouver. After law school, Cassandra spent twelve months as a Judicial Law Clerk for the British Columbia Supreme Court. During this time she clerked for six justices of the Supreme Court, which allowed her to gain insight into the judicial decision making process. In 2014 Cassandra obtained her law degree from the University of Victoria with awards for academic achievement and involvement in the law school community. Before law, she graduated with distinction from the University of British Columbia with a Bachelor of Science, majoring in Environmental Sciences. Cassandra is building her civil litigation practice by representing her own clients and assisting senior lawyers on complex files. She has represented clients in the Provincial and Supreme Court of British Columbia. Cassandra enjoys spending time outdoors, particularly playing and coaching field hockey, biking, and tackling the grouse grind.